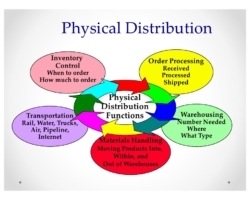 What is Width of Distribution??? Width of Distribution – In how many sales points is the product or service available with the advent of new POS with e-commerce sites, the entire rule of the gap has changed. Visibility of the product – More outlets stocking will result in more people seeing the product and hence more the chances of the product being recalled and thereby sold. Channel commitment to sell the product – More quantity stocked will increase the pressure on the retail POS to quickly liquidate the product and earn profit. The other parameter is competition tracking.